The words vision, strategy, mission and values are words bandied around a lot in the corporate world. But what do they actually mean and how can you make them more than just words? Our training gives an introduction to the idea of strategic thinking and more importantly provides some practical tools and techniques for turning strategy into reality. Strategic thinking is an area that seems to attract buzzwords and fuzzy thinking! We all know the language - strategy, vision, mission, values, innovation, forward thinking, idea showers and on and on. It can be quite daunting then, when someone asks you to 'engage with a strategy', implement it or inspire others to do it. How do you come up with a 'vision' in the first place? They are rarely delivered by an angel, though they often seem to be handed down from on high and can seem set in stone. We help to de-mystify the process, with a simple model that anyone can use. We give you a handle on the language and the thinking. We look at key areas and the main sticking points, providing practical tools and techniques for carrying people along with you. Strategic Thinking - does this sound familiar? It may be that you want to come up with a strategy for your business and you've never done that before. Or you've been asked to facilitate others through a strategic thinking process and you want to know where to start. Maybe the strategy is there already but it doesn't seem to be moving. Sometimes bits move and others don't - so how do you unstick the stuck bits? It could be that you just need to understand the thinking of others who are coming up with and implementing strategies around you. Whatever your background or sector this course can give you a good grounding in strategic thinking so that you are able to move things on - starting from your first day back in the office. Tailored specifically to each group, our training provides an introduction to the idea of strategic thinking and more importantly provides some practical tools and techniques for turning strategy into reality. We are always happy to have a talk with you about the range of training solutions on offer. 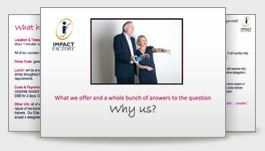 and we will put you in touch with a specialist Training Consultant to talk with you. 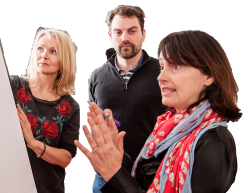 Our Tailored Creative Strategic Thinking Training comes in many formats from one-to-one through to fully tailored company wide programmes. We can run creative strategic thinking training at your premises, any third party venue or at our own London Training Suite at the Business Design Centre in Islington.